What kind of success do you have with your program? Numerous peer reviewed studies have been done in the area of Early Intervention and the efficacy, especially with regards to the effectiveness for children with autism. Aspire’s programs and workshops are based upon Applied Behavioural Analysis (ABA) and Early Intensive Behavioural Intervention (EIBI) techniques. Currently, these are the only early intervention therapies the Helping Children with Autism package identifies as being eligible for funding based upon established research evidence. See here for the HCWA list of therapies. We can put you in touch with a variety of clients who have completed our program and are currently in mainstream education and who are indistinguishable from their peers. This means that they test within the normal range on an ADOS (Autism Diagnostic Observation Schedule) and all other language and IQ testing. We can also put you in touch with clients who have just started or who are a few years into the program and if possible we will match parents with children with similar developmental levels. Read about the progress children have made with our services in our collection of Aspire Family Stories. Are you part of the Helping Children with Autism Provider Panel? Yes, Aspire is a member of the Helping Children with Autism Provider Panel. This means that if your child qualifies for the Helping Children with Autism Package your family can receive financial assistance to access Aspire’s services. Provide details about the qualifications and experience of their practitioners in relation to ASD and working with CALD, Indigenous and rural, regional and remote communities. Are there funding schemes available that provide families with financial assistance accessing Aspire’s programs? 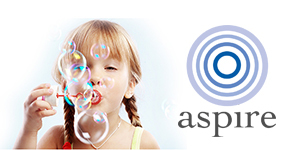 Aspire is a FaHCSIA Early Intervention Service Provider. If your child qualifies for the Helping Children with Autism package, your family can receive financial assistance (up to $6000 a year) accessing our services through the Helping Children with Autism funding scheme. As a member of the Better Start Early Intervention Professional Panel, your family can also receive financial assistance (up to $6000 a year) for Aspire’s programs through the Better Start for Children with Disability Initiative. Better Start is a financial package available to families of young children who have been diagnosed with a disability. To see if your child qualifies for the package click here. Is there any other funding available for your program? If your child has an enhanced care plan you can claim some visits under the specific plan for your child. They can include occupational therapy, physical therapy, and psychological services. You can claim some costs if you are a member of a private health fund. This depends on your fund. What developmental areas do you teach in your program? The program we provide encompasses all areas of development. It can be used for children with any impairment or delay. Most research about the program’s effectiveness has been done with children with autism. We do however design ABA programs for other children with special needs such as “global developmental delay”, Down Syndrome, ADD / ADHD, William’s Syndrome or others. Language skill building based on a verbal behaviour framework. Fine and gross motor skill building, and muscle strength training if necessary. Social skill building (from basic greeting to complex social skill such holding a conversation). Attending skills such as social referencing, following a parent’s instruction or the ability to complete tasks independently. Teaching Theory of Mind skills. Reducing inappropriate behaviours by using ABA techniques such as Extinction and replacement of inappropriate behaviour with functional communication. My child is an early learner, he has very few skills, so what specific skills do you teach? other auditory stimuli, looking in the direction of novel auditory stimuli while ignoring irrelevant stimuli. Fine motor skills, such as a pincer grasp, finger isolation etc. Gross motor skills, jumping, hopping, ball skills etc. Self help skills, grooming, toileting etc. My child has just been diagnosed and is younger than 24 months; do you provide programs for children that young? Yes, the youngest child that we have provided programming for was 13 months old at the time. Our area of expertise is in the area of early intervention. The outcome is usually better for children who start at a very early age. They would have fewer skills to catch up on when comparing those to their typically developing peers. Even though we do not have age limits for children we provide a program for, we reserve the right however to refer clients to other intervention programs if we feel that their needs are better served elsewhere. We typically refer children to other services if they have not started an ABA program before the age of ten. My child has not been formally assessed yet and we are currently on the waiting list for public services. Can I access your services without a formal diagnosis? Yes, to receive services you do not need a formal diagnosis. Prior to starting a program we will conduct an assessment for us and for you to determine the suitability of our program for your child and your family. We will also assess your child’s strengths and weaknesses and we will demonstrate some techniques and answer any questions you may have during this intake meeting. When we start a program do I have to sign up for any length of time? How long do your programs typically run for? You never sign up for any length of time, you can always cease services upon request. Intensive programs for children that are at pre-school age, typically last from two to four years. We currently also have school age programs and family support programs where the duration and intensity of programs varies depending on need. School age programs can vary between 14 weeks to ongoing support, from 2 hours a week to 15–17 hours a week. We also provide home schooling support and the intensity and duration is flexible in conjunction with the parents’ wishes. My child is not on the Autism Spectrum, can I still access your services? Yes, we can provide services for a wide variety of children with special needs. Currently we provide services to children with Autism Spectrum Disorder, Asperger’s Disorder, Down syndrome, William’s syndrome, ADHD with language delay, Semantic Pragmatic Disorder and global developmental delay. Our child is currently on a specific diet. How does that impact on your services? A large percentage of our clients are currently following specific dietary interventions for their children. We do not however make specific recommendations, but can always put you in touch with dietitians or specialists who can assist you with diet or questions about nutrition. Our child is currently receiving additional intervention such as Occupational Therapy and Speech Therapy. Can I continue with these services? We work closely together with Kerry-Anne from Cheeky Speakers Speech Pathology. We recommend using their services in conjunction with ours. They are also part of the Autism provider panel. We recommend bi-annual or annual assessments of your child, as this way we ensure objective evaluations of progress of your child. What do I look for in a good program? Is individualised for your child’s needs. Don’t accept copied pages from curricula that are commercially available. Make sure that the programs carry the child’s name and ask whether individual programs are adjusted to your child’s acquisition and learning style. Make sure that your program provider is comfortable with adjusting teaching strategies and prompting procedures. Ask whether acquisition and behaviour can be graphed so you can see how fast your child is acquiring skills and that inappropriate behaviours are decreasing. Is varied in its presentation and teaches in the child’s natural environment as well as using discrete trials. Contemporary programs mix and vary programs, so the child does not go “on automatic” and respond in a robotic manner. This means that your therapists should not do one program after another. Your program manager should teach therapists to mix programs and also encourage natural environment and incidental teaching. This requires more creativity from your therapists and is often more difficult for therapists. Is supervised regularly, by someone who knows how to interact with your child and teaches your therapists how to teach your child. Your program provider should physically interact with your child and demonstrate programs as to assess the necessary prompting and acquisition procedures. They should also have your therapists or you demonstrate techniques and give you and your therapists’ feedback as to how implement specific strategies. Your child should enjoy interaction with your program manager. We don’t recommend just videotape reviews, as you cannot give feedback and see the implementations directly with your child. Is not limited to basic skills but down the track also includes teaching more complex skills like executive functioning, Theory of Mind and advanced social skills training. Make sure your program provider has the skills and knowledge to provide your child with advanced programs, as some of these require teaching pre-requisite skills at much earlier levels. My child is currently receiving services from another provider but I would like to access a more contemporary program that includes a Verbal Behaviour component. How can I transition to your program and how do I know that your program suits my child’s needs? You can send us a videotape that we will review. If requested, we can then conduct an observational assessment of your child. During this assessment we will demonstrate the different techniques involved in a Verbal Behaviour program. We can also put you in touch with families who have switched from an “old style” program to our program, and you can ask them about the differences in style and application. What type of assessment do you use? We currently use the VB-MAPP which is a Verbal Behaviour ongoing assessment during the course of your child’s program if developmentally appropriate. We also use ongoing behavioural assessment and standardised assessments where necessary.